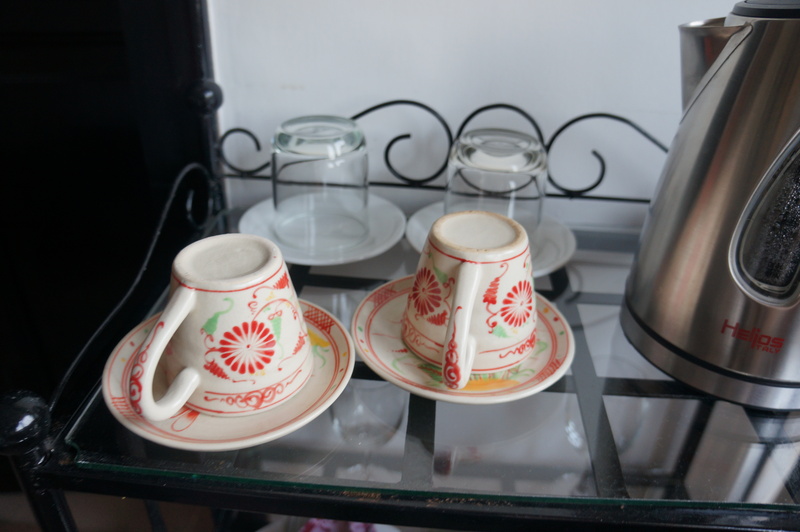 After a very long break from blogging, I felt I really should do something about this travel blog I started so many years ago. 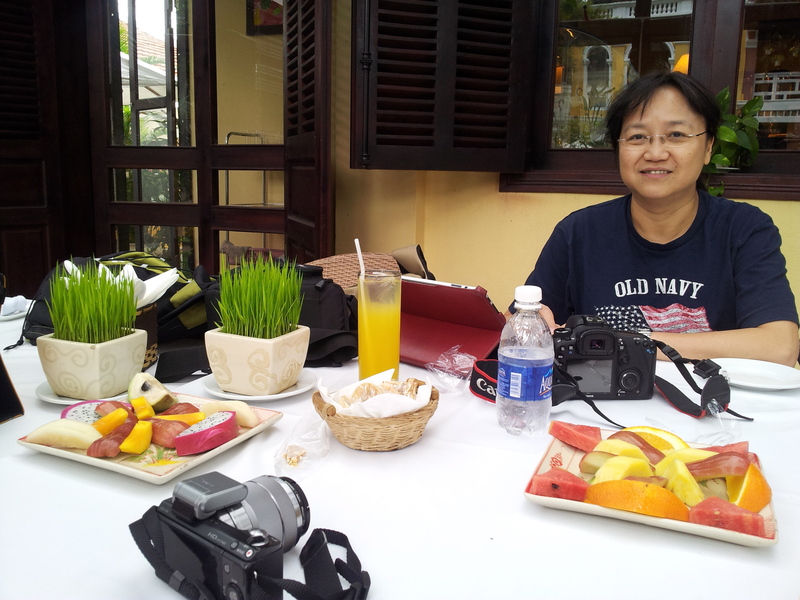 The wonderful time I had in Hoi An was an added incentive. I wanted to share the beauty of the wonderful place and people. At the same time, I wanted to offer some tips to my fellow Malaysian travelers so that you wouldn’t be shortchanged. 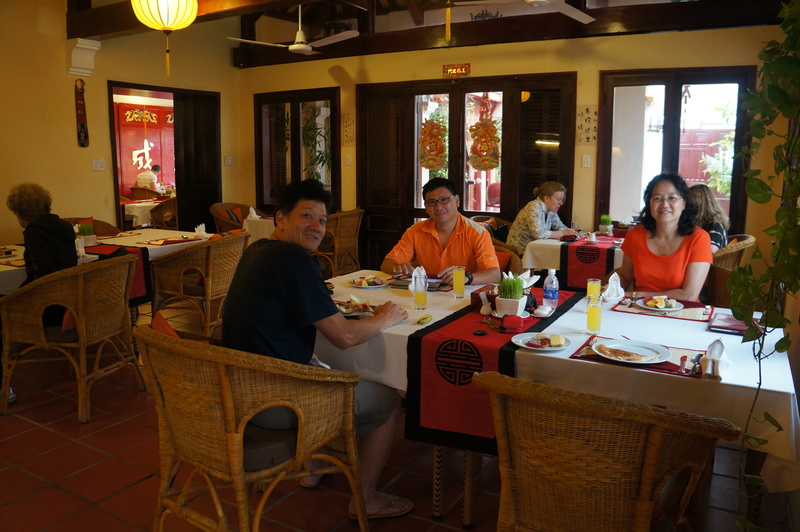 We managed to get highly discounted air tickets from Air Asia when they introduced Danang as a new destination last year. My base fare was less than RM20 per pax (one way) but with additional luggage, seat and other fees, we dished out about RM200+ per person (return); still a fantastically good deal. 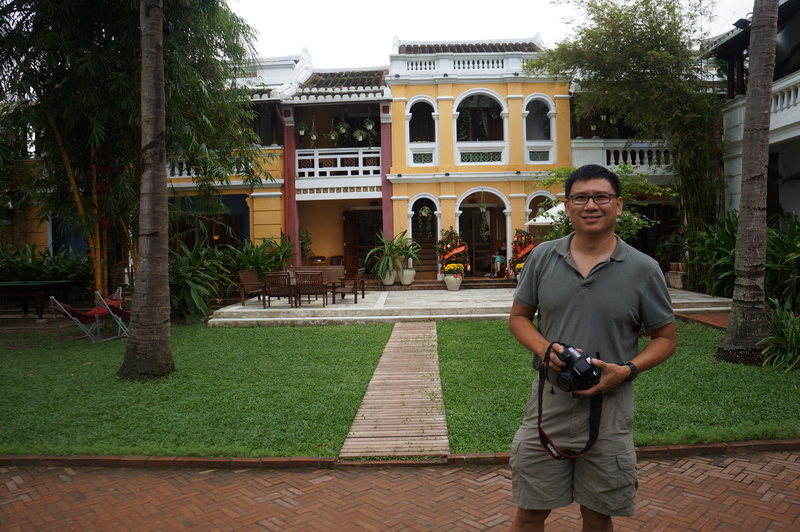 A year prior to this, I thought of visiting Hoi An but the thought of flying to Ho Chi Minh City and then transferring to another airline to fly to Danang put me off. When Air Asia stated the direct flights to Danang, I was so excited! 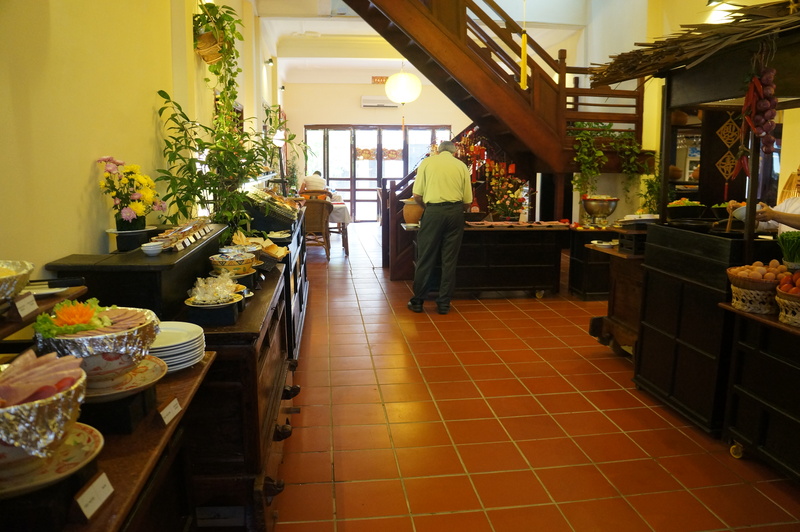 Hoi An is located about 30-45 mins (by road) from the Danang International Airport. One of the first things I learnt was that Hanoi (North), Danang (Central) and Ho Chi Minh City (South) have totally different wet and dry seasons. Its very important to research the best months to travel. I’d say the middle of Feb is probably the best time; with the rainy season over, but the heat of summer not started yet. We were there from February 20th to the 24th, 2012. 5 days and 4 nights may be 1 night too long unless you plan to have your clothes and shoes tailor made. 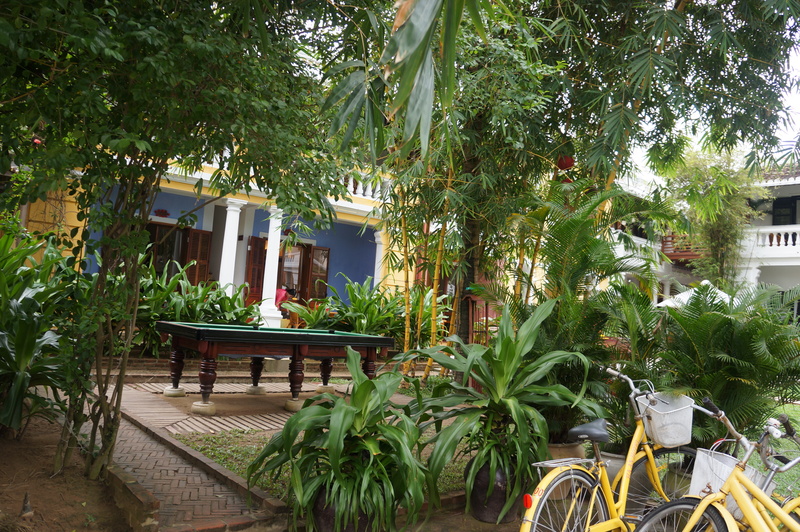 You have a choice of staying in the vicinity of the old town or near the beach at Hoi An. 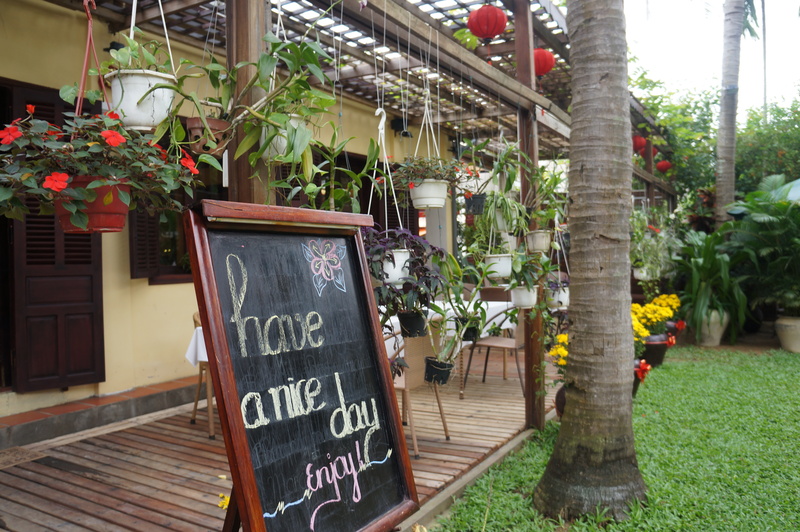 Of course some people opt to stay at Danang and take a day trip to Hoi An. 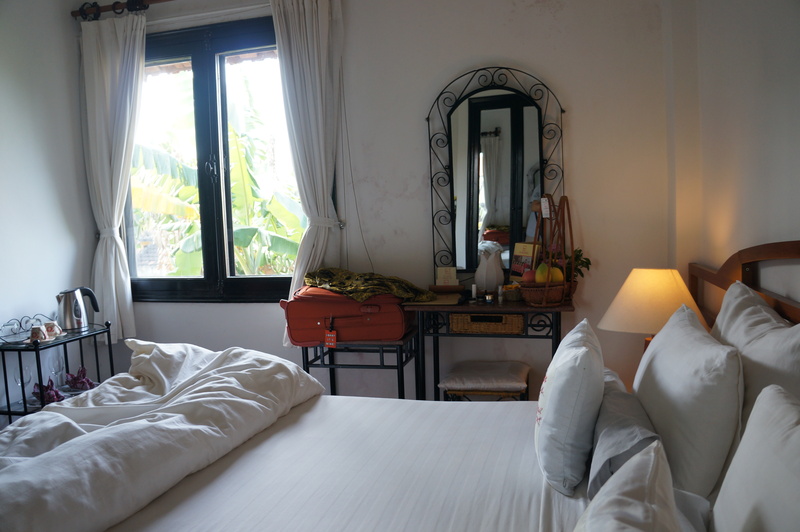 We decided to pamper ourselves at the Ha An Hotel, a small boutique hotel and had no regrets. 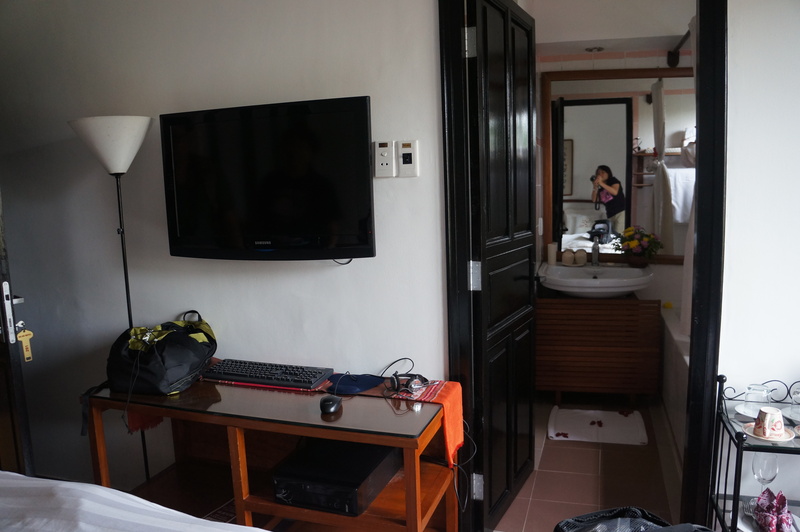 The cost was USD55 per night if we paid cash and a bit more if we used the credit card. 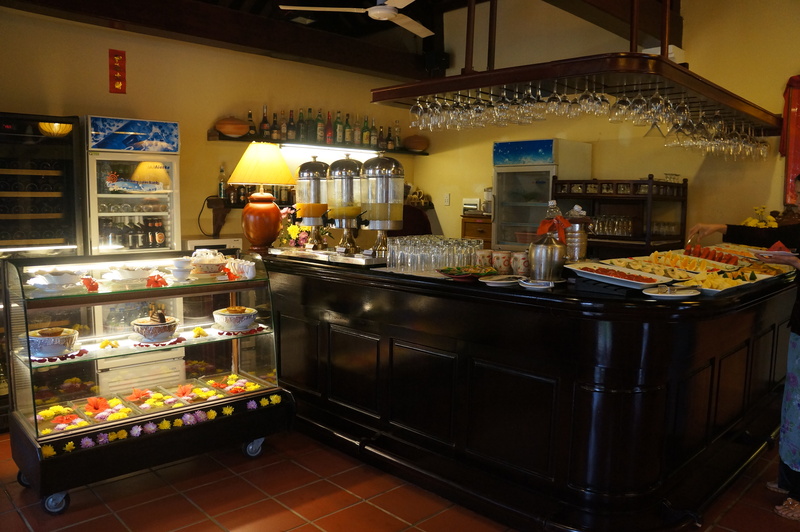 This hotel is one street away from the market and tourist area of the old town, thus it is quiet and peaceful enough. Exactly our cup of tea. The hotel is not big, but warm and comfortable. Made this trip with our good friends, Andrew and Yvonne. The left wing of the hotel houses a spa. Didn’t try it out though. Non-garden view rooms are not big but the service is really good. So what do I mean by good service? Well, for one, they have 4 bath towels, 4 face towels, not including the normal floor mat, etc. So they change the towels for you in the morning, and at 4pm, they come around again. 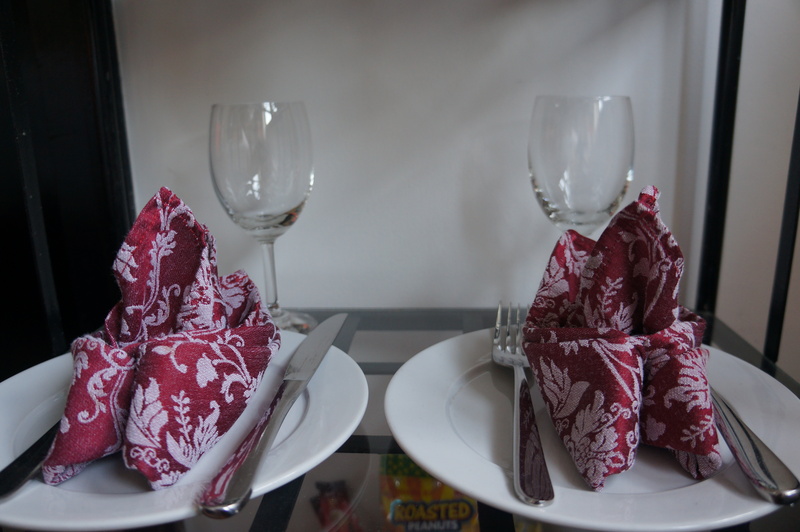 We were out, and had used the towels in the afternoon after lunch. I took great pains to hang them up properly but they changed the towels again! 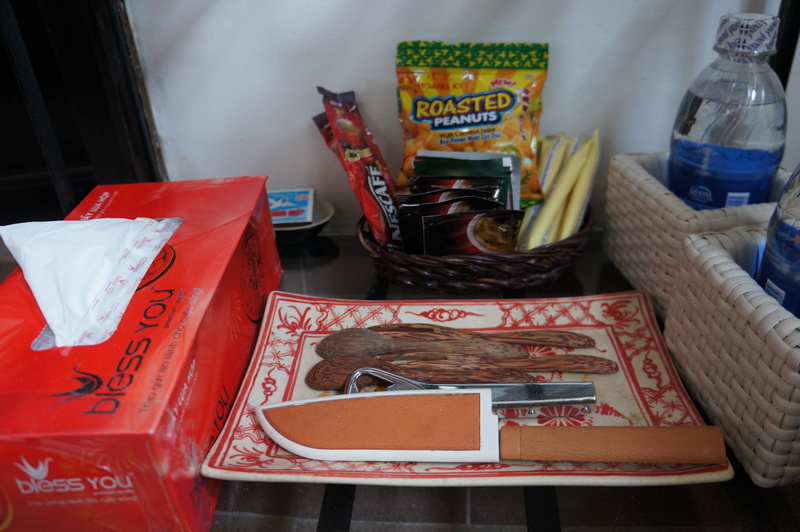 There’s also the daily refill of our fruit basket, (which accounts for the knife) and two cookies a day. Now these may be really small matters but it makes a lot of difference in our perception of their service. 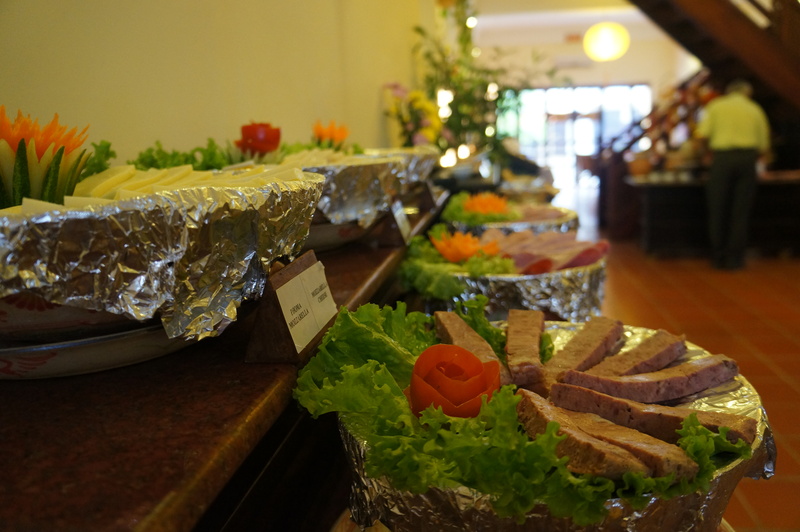 Then there is the WONDERFUL buffet breakfast every morning! 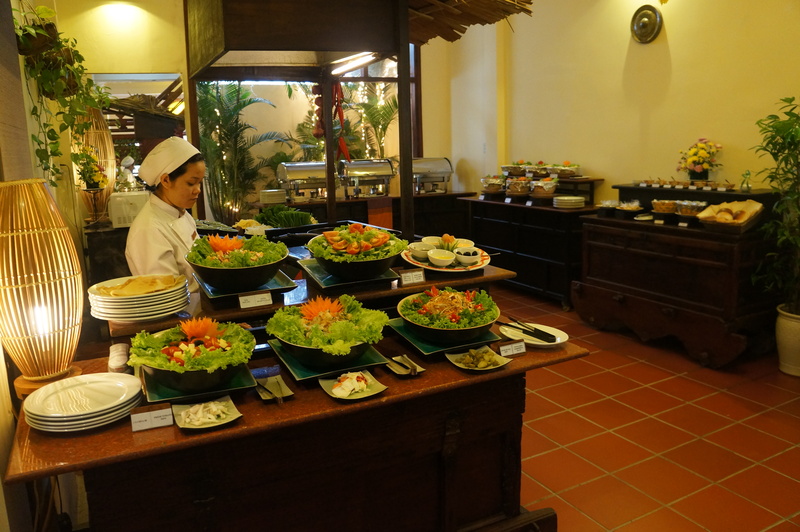 To be honest, whatever Vietnamese food you want to try at the restaurants outside are available at hotel for breakfast! This is also the first hotel I’ve been to that has MILO!!!!! hahahahah, I’m always bringing my own Milo wherever I go cos I can’t drink coffee or tea. We also ended up ordering ginger tea, ginger drink, etc. All part of the buffet. So USD55 per pax? Really worth it! They are not listed on normal hotel websites, so just go directly to their website and make a booking there. The skeptic in me made me call them just to ensure our booking was in place and was pleasantly surprised to be attended to by someone who spoke reasonably good English AND had knowledge of our booking! So we have booked two rooms for next Jan when we go again, and because we are booking so early, they promised us the same rates for the same rooms, hahaha!